“Many Michigan residents will lose their right to keep livestock on their own property due to a new ruling from the state’s Commission of Agriculture and Rural Development. The Commission ruled April 28 that local governments have the right to ban livestock from any area zoned residential in the state. “…Thing No. 1 that I have learned about farming: People talk a lot, but it does not mean much. I have people who want lots of eggs tell me to deliver a certain amount every week. 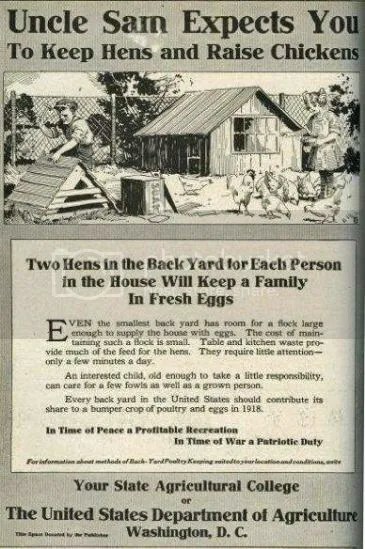 I have to save up the eggs to do this, and then they change their minds and don’t want them. The Practical Farmers of Ontario, has sent the Chicken Farmers of Ontario marketing board, a written request to increase the minimum number of meat chickens one farmer can raise annually in Ontario without quota. With increasing demand for locally grown, local sourced food, many consumers are having great difficulty finding the local food they are looking for. “It’s time for the chickens to fly their backyard coop in residential Campbellford. 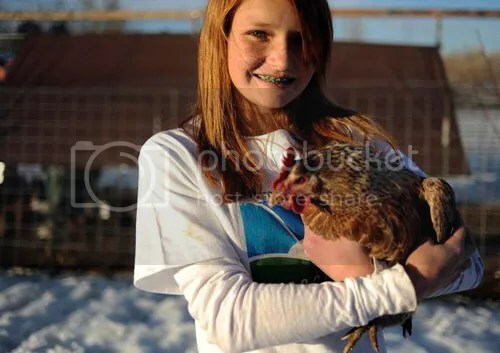 After months of dealing with the Bacher family and the seven hens they keep in their Doxsee Avenue backyard, the municipality is taking them to court for a zoning violation. If successful, the charge comes with a maximum fine of $25,000 — that’s a lot of eggs. CAMPBELLFORD -- What came first? 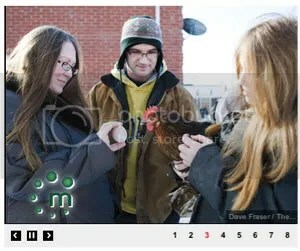 Kelly Bacher (left) Shawn Bacher (middle) and Kayla Renouf at their home Feb. 13. 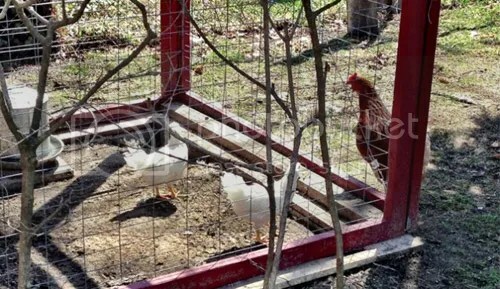 The Municipality of Trent Hills is taking the Bachers to court because they are keeping chickens at their downtown Campbellford home. February 13, 2012. Photo Dave Fraser. Click image to see more Northumberland news pictures. 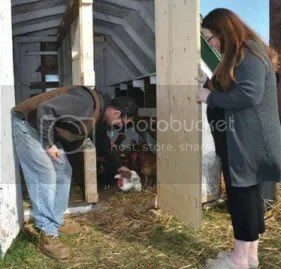 TRENT HILLS – The waiting game has ended for a Campbellford couple who keep chickens in their backyard. The municipality has made good on its threat to charge Kelly and Shawn Bacher with a zoning violation that carries with it a maximum fine of $25,000. Government misleads citizens about the law — a case of regulation proliferation? Photo via Canadian Constitution Foundation. Kelly and Shawn Bacher reside in the small Ontario town of Campbellford (population about 3,000), part of the municipality of Trent Hills. Shawn works in a salvaging business, tearing down old buildings. Kelly helps bring income into the household by providing housekeeping services to elderly neighbours. Their daughter Kayla is 12 years old and has been homeschooled since 2008.